Michael (28) is always working hard for our family and others, and takes pride in all he does. He has won many awards and medals from his career thus far in the military; and is currently a SSgt (E5) in the United States Air Force. His career has taken him around the world to save lives, finish college, and grow into a family man. Michael loves to play sports, cook, and work out! Roxanna (29) has also served in the United Air Force as an EMT/medic. 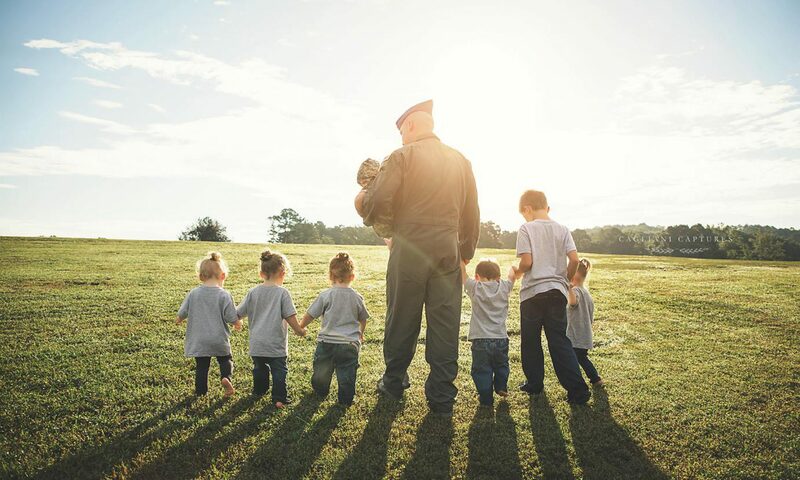 She left the military while 20 weeks pregnant with the quintuplets, to become a stay-at-home mom. At this time, she was also pursuing a nursing degree. 10 weeks of hospital bed rest and an unexpected PCS (move), put her career and academic goals on pause. Even so, she completed 3 other degrees while on bed rest! Since giving birth, Roxi has taken care of the kids most of the time on her own, since Michael returned to work 11 days postpartum. This Mama makes sure everything in the house runs perfectly for a family of 9. She holds down the home front, while Dad is away at training, work, and deployments. Roxanna is currently back in nursing school full time and also works at a hospital. Together, we make the strongest team and a powerhouse couple! Our life is filled with so many obstacles, and our humor and love always get us through. We have spent most of our relationship at long distances. This has taught us to cherish every moment with each other, get to know each other in every way, and to learn love knows no boundaries. We both have grown so much over the years. It is amazing to watch us flourish in strange circumstances! Military members, young marriages, parents of multiples, etc all have very high divorce rates. We love beating every statistic and showing determination and love can get you through it all. It’s also a bonus that we have been blessed with such amazing children, to complete our loving family.